This post is part of our special coverage Global Voices in 2011. I started to translate for Global Voices Aymara in 2009, and at the time, I only translated one article per month regarding topics such as politics, sports, education, environment, and others. But since I started as editor, I no longer translate just one article, but rather more than five articles per month. I translate all of these articles during my free time, and each post takes one, two, or even three hours each, depending on the post's length. By translating and editing, I have been able to learn about events taking place in other countries. Among my translations, there is one that caught my attention: Languages: Let's Tweet and Speak in Quechua. For me, it was an interesting topic to translate and this is the translation in Aymara: Aymara: Arunaka: Tuytiyañani ukatx qhichwat arsuñani. I am very happy to be a volunteer translator, and I am very motivated to continue the work. I would also like to congratulate the translation team from Global Voices Aymara. I started to translate articles for Global Voices in Aymara beginning in June 2011, and I've always been interested in things related to languages. 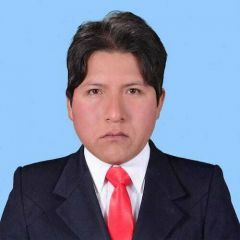 I think it is very important to value the Aymara language, and to spread knowledge of this language throughout the internet so that other people can become interested through the translations. One that really caught my attention was Slovakia: The Most Expensive Apple Computers and in Aymara: Eslovaquia: Apple cumputaduranakax sinti jila chaniniwa. Some may not be interested in the topic, but university students have the latest technology for their studies with no regard to the cost of the computers. Having a computer is no longer a privilege, but rather a necessity. The majority of students have netbooks, and as is the case in some countries, many professors are behind when it comes to technology. My participation with Global Voices in Aymara started in 2010 to the present, and through this translation work, I learn about what is happening around the world. Over time, I have translated interesting topics including one that really impacted me, which was: Iran: Female Blogger Receives 50 Lashes and the translation: Aymara: Irán: Bloguerax phisqa tunk jawq’aw katuqatäna. How could a blogger receive 50 lashes just for providing information? That is very unjust. Personally, I started to translate at the beginning of last year. First of all, it gives me great satisfaction to be able to contribute to the Aymara language on the internet, especially through Global Voices Online. In regards to my translations on Global Voices in Aymara, I consider it benefits Aymara speakers and the language itself, as its status grows considerably by being online. The topic that impacted me the most was related to the help received by the humanitarian aid workers during and after their rescue work for the Japanese earthquake: Japan: Aiding the Aid Workers and in Aymara: Japón: Japunan yanapt’irinakar yanapt’asa. I will continue to translate because I really like to translate into Aymara. It all started when my colleague Ruben [Hilari] cordially invited me to be part of the Jaqi Aru project. I didn't think twice to be a part of the initiative, since at the time I was looking for opportunities to apply my knowledge acquired during my university studies. At the beginning, I started by publishing posts in Aymara. Soon, I learned how to use the tools on the Global Voices in Aymara platform, which was very interesting, but a little complicated. I translated about a dozen articles written in Spanish, French, English, and Aymara. I have been taking part because I love translating from different languages. Even more, if it deals with contributing to the native language, and above all, to be able to share the same knowledge with society through the internet. Among those articles, the one that interested me the most was: “Mexico: Celebrating Cantinflas' 100th Birthday”. I chose the topic because I am a fan of the famous comedian, and I wanted to learn more about his life and career. I learned a lot by translating the article. To begin, I placed myself in his place, I felt, and learned that he did not become famous overnight, but rather it was a process full of virtues and sadness. In the Aymara language, there are certain limitations compared to other languages, especially regarding vocabulary. However, those challenges are being overcome little by little. Some of the topics that were missing from the site included posts about Christmas, New Year Celebrations, Carnaval, and others, which is something that I would like to explore. Honestly, I would love for Global Voices authors to continue to publish more and new content, which would give me more options to choose from in order to translate into Aymara.